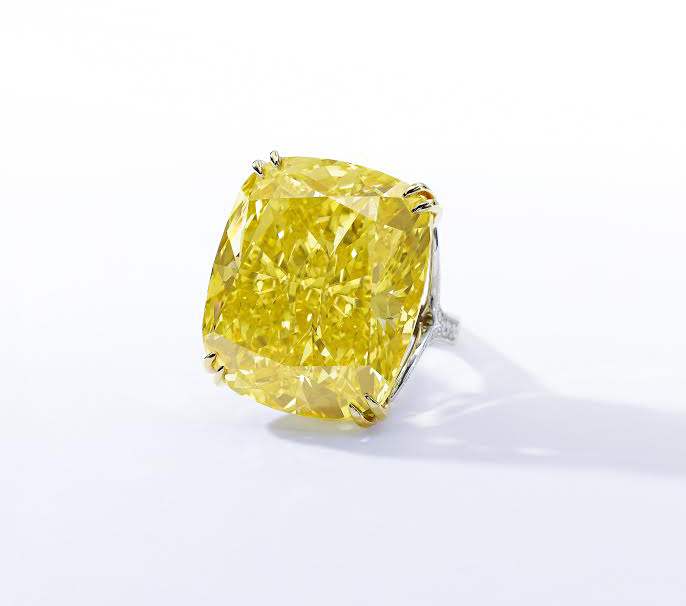 A real fight broke out in London on 24 April 2013 within the framework of Bonhams Fine Jewellery Sale. 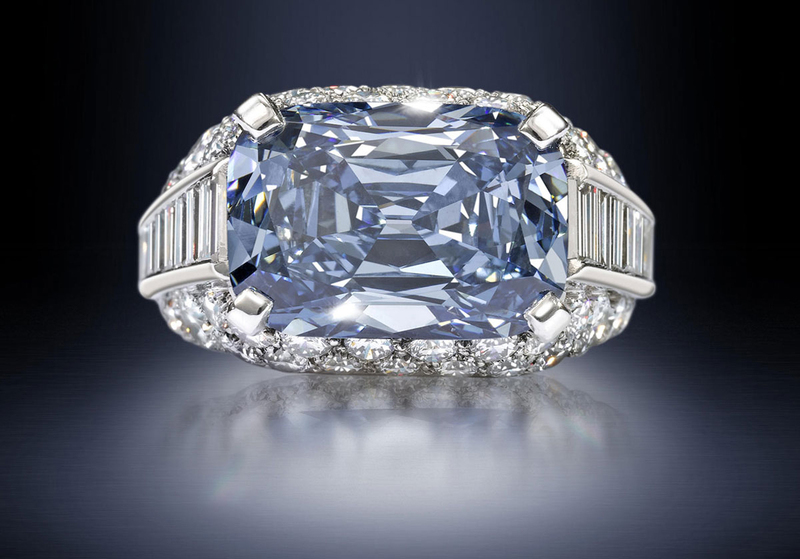 Reason was a 5,30-karätiger Blue diamond in the version one occupied with pave setdiamonds and baguette diamond gemstone ring. To buy this precious, different bidders, which included both attendees of the Hall and phone bidders from the United States, the Middle East and Europe, were not so quickly beaten. 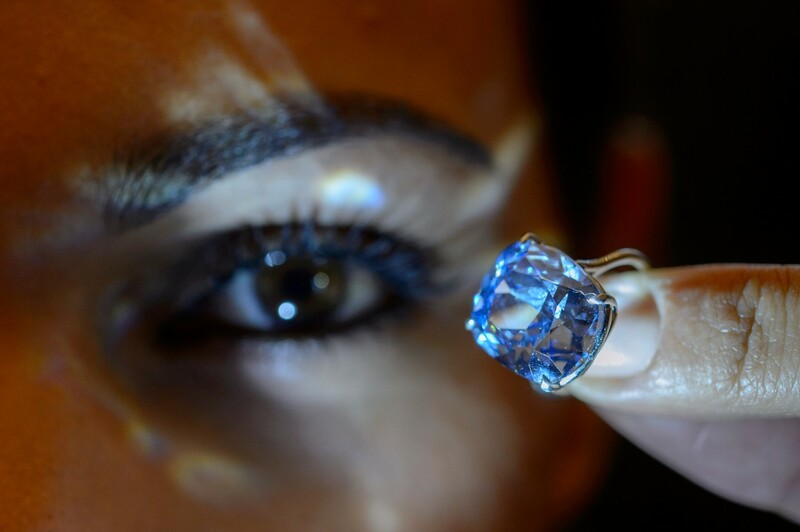 Finally, an intense blue diamond is one of the rarest and most precious Gemstones at all. Finally managed to bid the jeweller Graff Diamonds on the sought after gem for $ 9.5 million (1.8 million U.S. dollars per carat). 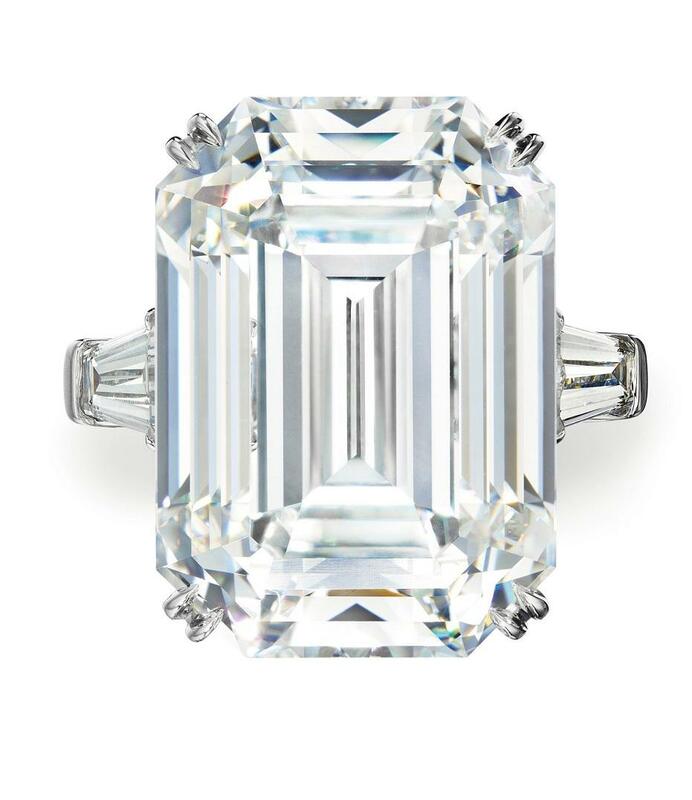 This exceeded the highest Carat price of $ 1.68 million. 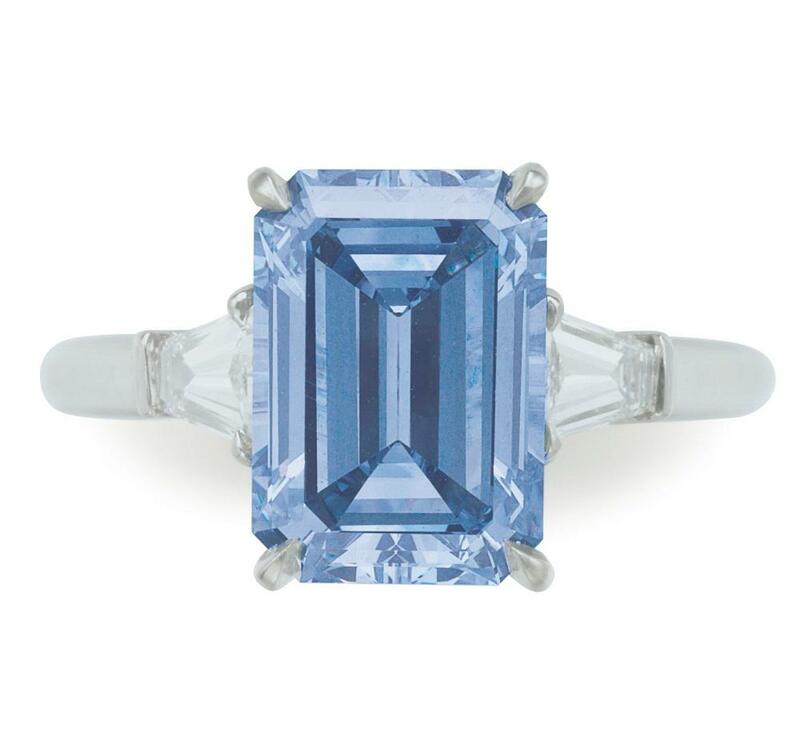 It is not uncommon that a blue diamond attracts so much attention. 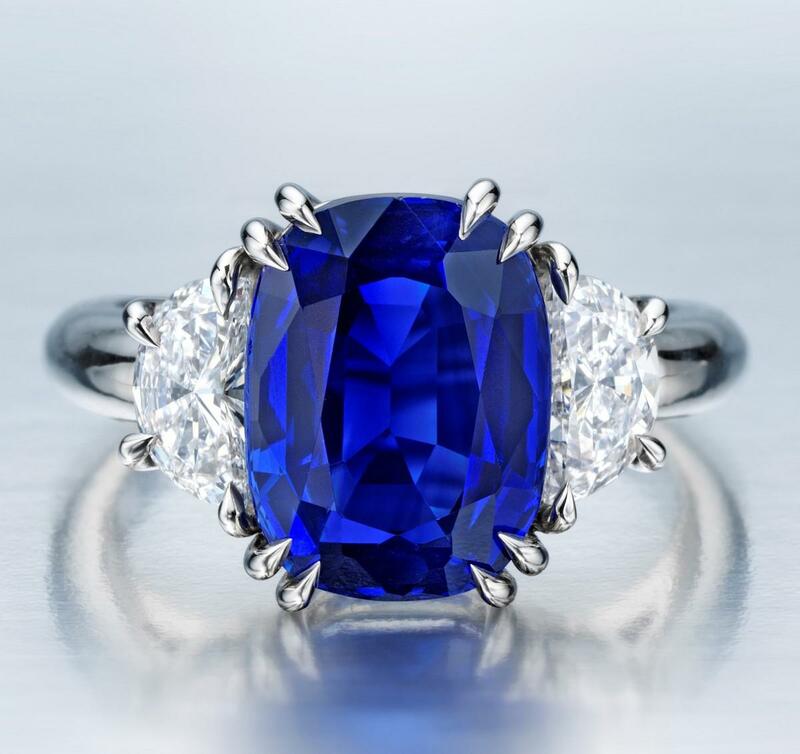 Only in November of last year, a 10,48-karätiger Briolette diamond in the Fancy Deep Blue color reached a carat price of over $ 1 million. 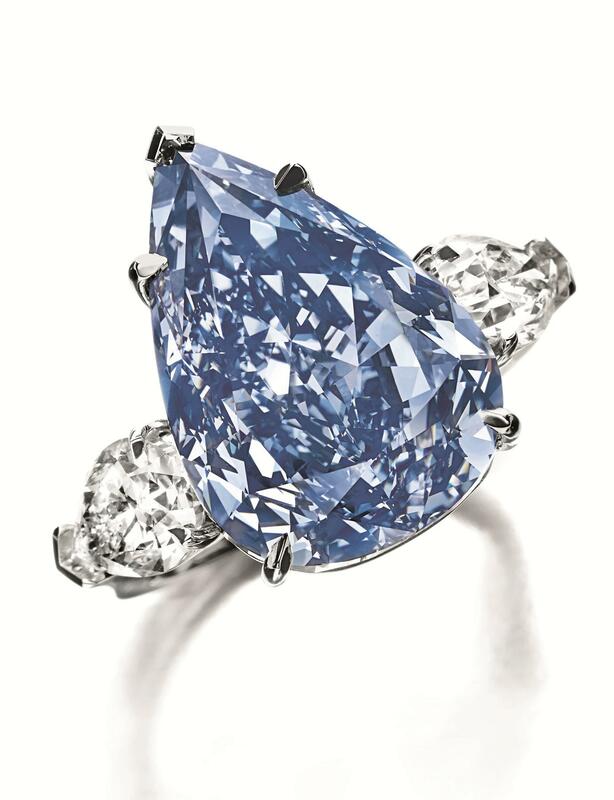 Blue diamonds were a very fascinating chapter before this record auction. 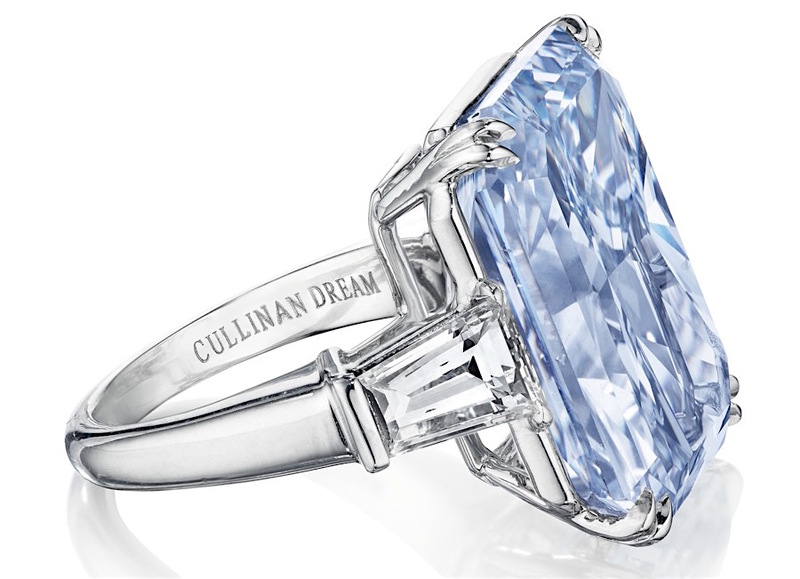 So there are various impressive and enchanting blue diamonds that attract the attention her mysterious red glow, their historical cut shape and bright color. Let yourself be charmed! The great fascination of a blue diamond can exert, occurs most on hope diamonds to days – a gem to the numerous legends told. So was it said that he was burdened by a curse. As the reason for this was stated, that you stole it from an Indian God statue that he once graced. 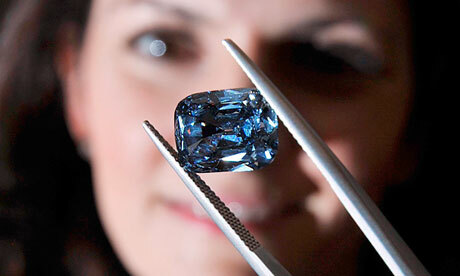 A special phenomenon occurring in a part of the blue diamonds, is a red glow under the influence of short UV light. The blue hope diamond shows this red glow-in-the-dark effect in strongly pronounced form, what gives a mysterious aura to the gem and in addition contributed to the formation of the legend. 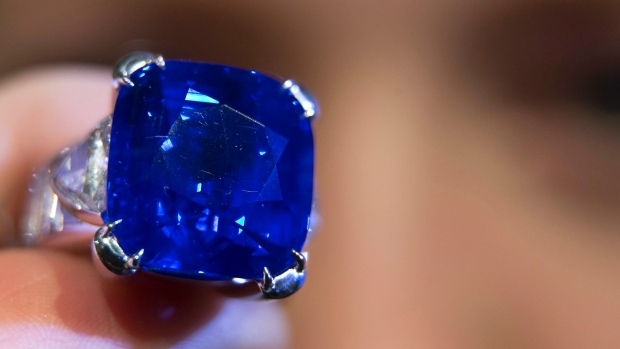 None other than the French Sun King Louis XIV acquired the blue gem, which has disappeared later in the turmoil of the French Revolution and again emerged only in the 19th century, when it was bought by the banker Thomas Hope in London. Today the gemstone taken in a Collier, in which he is surrounded by 16 white diamonds , admired in the Smithsonian Museum of Natural History in Washington, D.C.. The Wittelsbach blue was for many years in the possession of the Bavarian royal family. 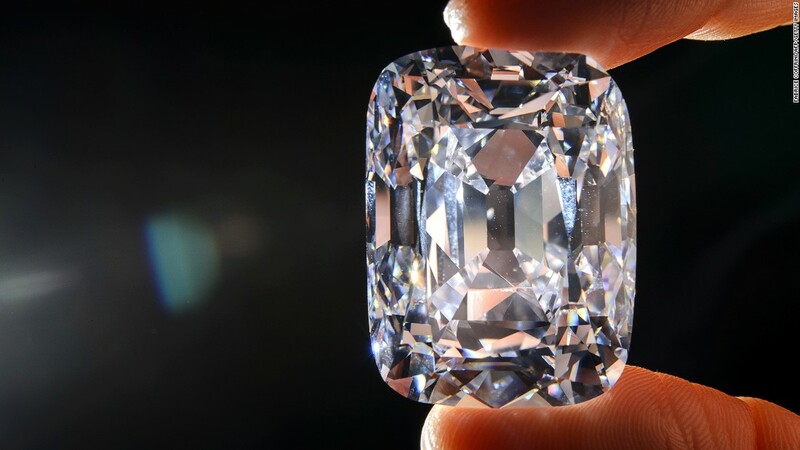 In December 2008, the gem at an auction by Christie’s auctioned by Laurence Graff and renamed the Wittelsbach-Graff diamond. The historic cut form of the gemstone with split star facets on the top and glaucous facets on the bottom left revise Laurence Graff to the indignation of gemstone lovers and collectors. His goal was to get more fire and brilliance of the gemstone. 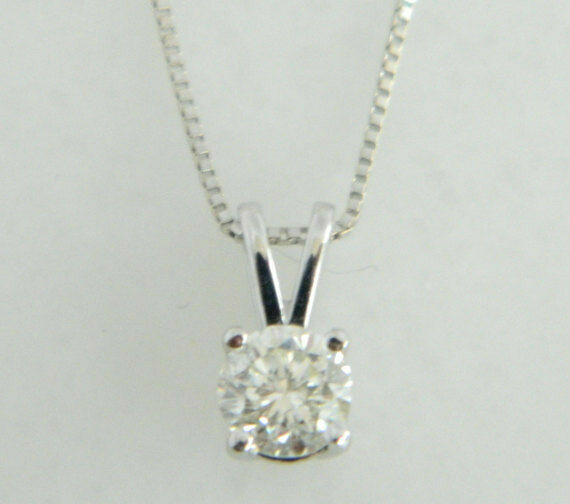 While the gemstone was ground by 35.56 Carat 31.06 carat. As its name already indicates, the Tereschenko was diamond in the possession of Russian, working in the sugar industry Tereschenko family. The teardrop-shaped gemstone has a size of 42,92 carats and Collier was taken in 1915 on behalf of Mikhail Tereschenko in a luxury. There, he developed his magical charisma as well as more than 40 other Fancy Diamonds. Its color palette ranging from lemon yellow to aquamarine, gold and grey to purple and pink. 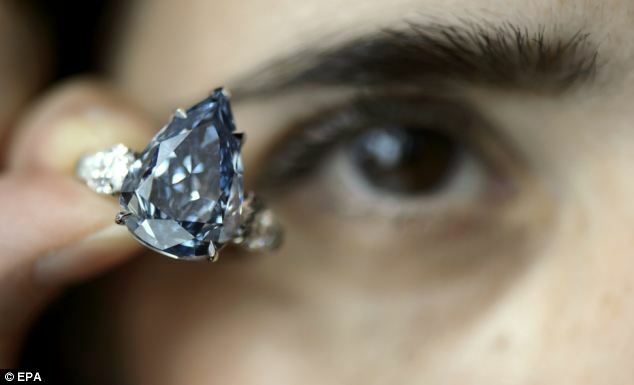 In November of 1984, the Blue diamond at Christie was acquired it from the Saudi diamond dealer Robert Mouawad for the proud price of $ 4.5 million. 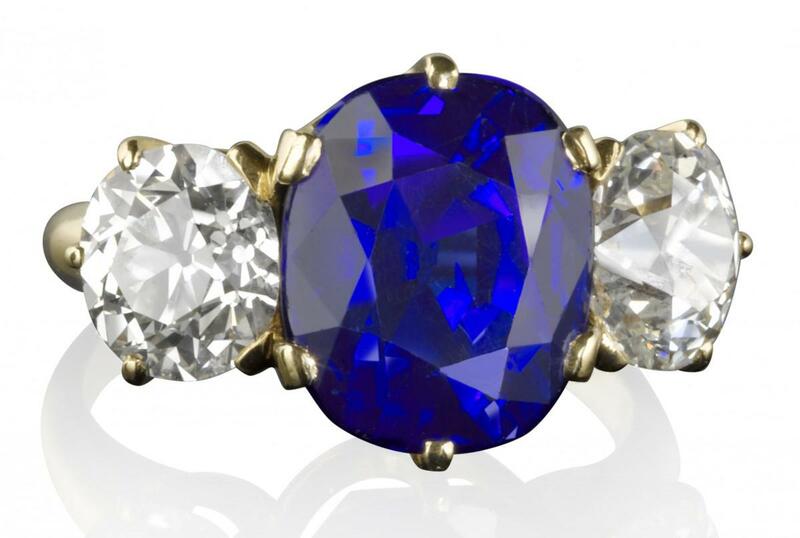 Which receives a blue diamond color known more of gems such as the Sapphire actually? Responsible are usually deposits of the element boron in the crystal lattice – more boron is included, the more intense the colour is pronounced. 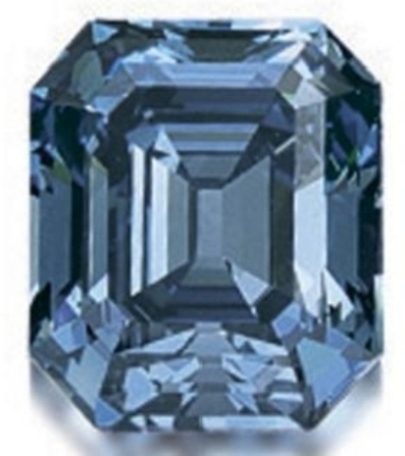 Heats a such Blue Diamond, so its color is even more clearly. 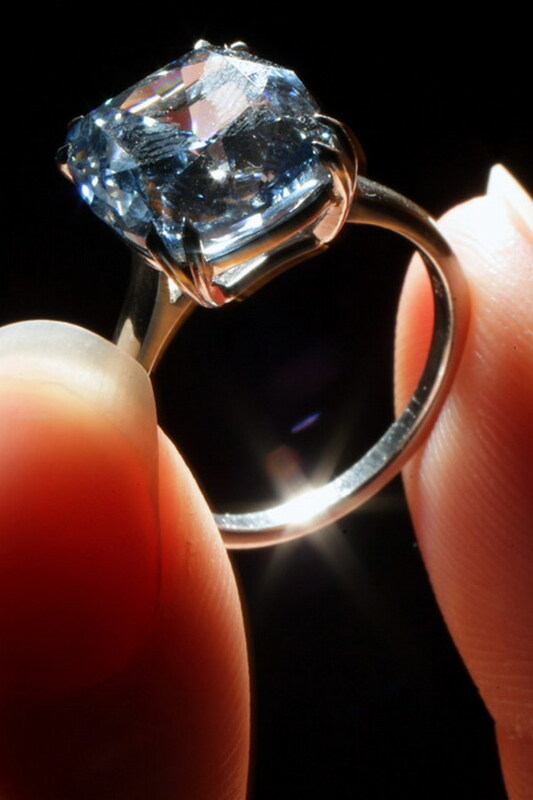 There is also another category of blue diamonds containing no boron. Assuming that their color is caused by different absorptions. A place of origin of this group is the Australian Argyle mine; most recently, a collection of blue diamonds from there was auctioned in the autumn of 2012 under the title Once in a Blue Moon . 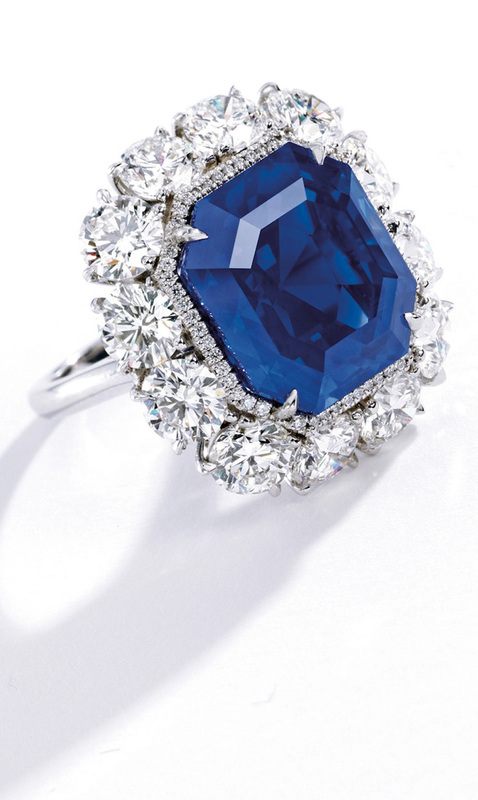 A blue diamond is something unique and beautiful. RenéSim selects only the most beautiful and highest quality gems for its customers. 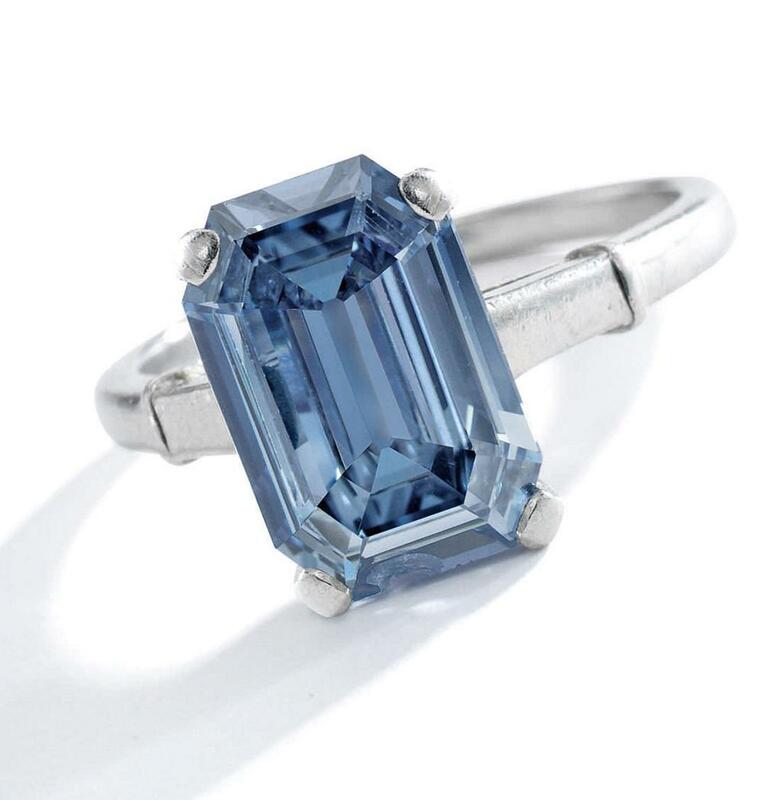 Blue diamonds we can offer you in all forms, all right, whether they opt in the style of the gemstone auctioned at Bonhams for a cushion cut or whether the drop cut of the Tereschenko particularly told to diamonds. The broad color palette of blue diamonds by RenéSim includes beautiful shades of color: from a brilliant light blue over a pale lilac to intense deep blue and rich purple. Contact us link and we we find for you after the Blue Diamond of your dreams, for you upon request also like to make a custom piece of jewelry.